The goal of e-commerce is to get the people looking at your website to take the leap and buy your stuff. For dealers, there is an added complication – they can't buy your stuff online, so you have to get them to come talk to you. Naked Lime faces similar challenges in motivating our site visitors to participate in actual conversations about our services. When we were presented with a very limited window of time to sell one particular solution to dealers, we decided to try something new. We needed to capture the attention of the dealers visiting our site and give them a reason to ask for more information. Maximizing our selling time was critical, so we wanted to encourage meaningful conversations with the most serious prospects. Our solution was to try incentive-based marketing to encourage interested customers to follow through with a presentation. With our own ShowroomMagnet service, we implemented coordinated page banners, popovers, page tabs, and email campaigns to put the offer in front of dealers considering the service. Basically, when the dealer registered for a demo of the service, they were offered a gift card that they could validate and claim at the conclusion of their appointment. Our sales team experienced a much higher appointment show rate and closing ratio from leads generated through ShowroomMagnet than other lead sources. Enrollment in the program ultimately increased by 30% year-over-year. Even when customers are interested in your products, they often need a little push to move forward with providing contact information and committing their time to an appointment. ShowroomMagnet provides that added incentive. It helped convert more of our own website visitors into sales, and turns more web traffic into foot traffic for dealerships. 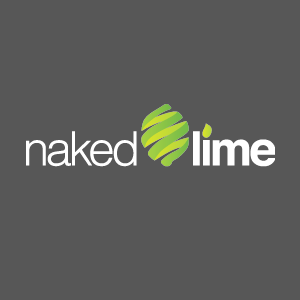 To see a demo and start improving your appointment show rates, call 855.NKD.LIME or email info@nakedlime.com.